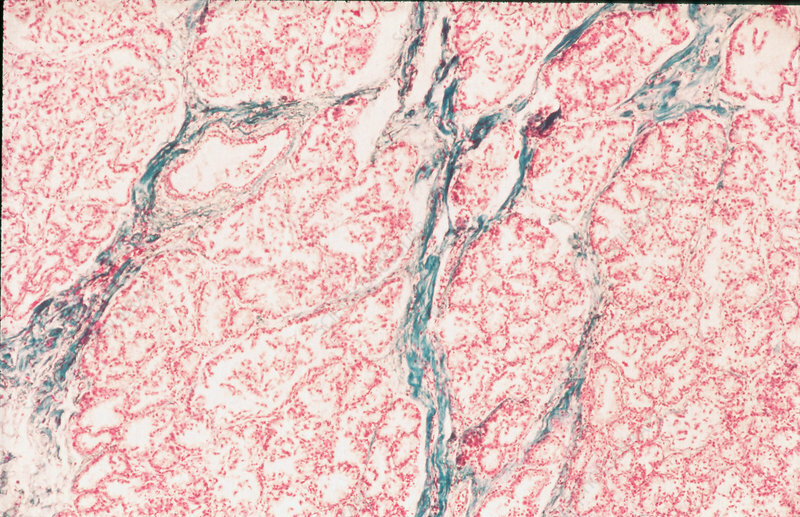 Milk-producing (lactating) normal breast tissue (mammary glands) seen in a thin tissue section prepared for microscopical examination of a histological slide. There are a large number of tightly packed glands that contain milk. The glandular components are divided by a dense connective tissue that is stained blue. Elastica van Giesen stain x10 magnification.